You’ve spent hours creating the perfect wreath, or searched high and low before finding the ideal pre-made wreath. Don’t let all of that time and effort go to waste by accidentally choosing the wrong wreath hanger for your masterpiece. From flimsy materials to limited hanging options, many door wreath hangers get it wrong when it comes to fulfilling the needs of wreath owners like you. 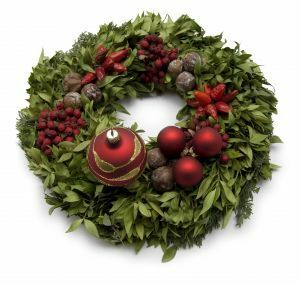 Check out these five things to look for in a great door wreath hanger to bypass the frustrations and skip ahead to displaying your wreath with pride. Don't allow all of your hard work on crafting a great wreath go to waste. Finding the right wreath hook is most important of all. From front doors to windows, wreaths can be displayed in various locations. Unfortunately, a rigid wreath hanger that may work okay on a front door will likely be too long for a window. Avoid the frustration of measuring the hanger lengths you need and then searching high and low for those hangers by choosing an adjustable door wreath hanger instead. The ideal wreath hanger should adjust to various heights, meaning you could hang a wreath low on a front door or use the same hanger to position a wreath high on a window. Adjustability is one of the most important wreath hanging factors; an adjustable hanger helps you bypass much frustration and also saves you the embarrassment of a wreath that is hung too high or too low on a door. A great wreath hook is flexible and allows you to hang wreaths at various lengths, in different manners and more. Unfortunately, basic metal hooks lack flexibility and only allow you to hang wreaths one way over and over again. Whether you want to hang multiple wreaths in one location or want to notch up the design factor with a ribbon, the best wreath hanger allows you to achieve all of these things with ease. Different wreaths call for different hanging styles. Perhaps you’d like to accompany a winter holiday wreath with a silver ribbon or a green ribbon. When spring arrives, you may want to switch that ribbon to a flower pattern that matches the new seasonal wreath you plan to hang. A great wreath hanger lets you make these changes easily rather than limiting your hanging options. 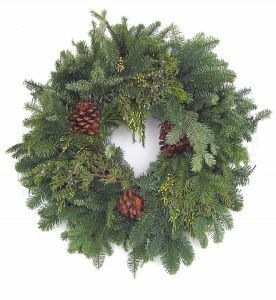 Wreaths hung outdoors are exposed to a variety of elements including rain, wind and snow. An important quality to look for in a good wreath door hanger is sturdiness. A great hook allows your wreaths to hang in place through strong winds, pounding rains and heavy snow, all while looking great. A great wreath hook should meet all of your needs while also being a great value. On the flip side, be wary of extremely cheap wreath hooks (they're cheap for a reason). By achieving the perfect balance between quality and cost, you’ll save more while also investing in a wreath hook that will last for years and years. Where you plan to hang your wreath is just one factor that will impact the length of wreath hook and style you will need. Find one hanger that meets these needs and more. There are many options when it comes to finding a door wreath hanger. Unfortunately, many of those options don’t meet the needs of wreath owners like you. From adjusting to your needs to providing the sturdiness you want, a Wreath Pro is the best option when it comes to safely and securely displaying your wreaths with pride.